The Consumer Financial Protection Bureau (CFPB) is urging retailers to clear up some confusion surrounding store credit card promotions. Specifically, the agency called for more transparency when retailers make promotional offers like “no interest for 90 days,” which is essentially a “deferred interest” promotion. The consumer who makes a purchase with the store's card pays no interest if they pay off the entire balance within the set time limit, such as 90 days. But if they fail to pay off the entire balance in the prescribed time period, they are then charged the full interest on the purchase, which can blindside consumers who didn't understand the terms of the promotion. The CFPB has fired off letters to major retailers asking them to consider more transparent promotions, like 0% interest during the introductory period. A number of credit card issuers take that approach, not charging interest for the first 12 to 21 months the account is open, if certain conditions are met, such as making a purchase during the first 60 days. CFPB says one major retailer recently took that step, announcing it will drop its deferred-interest promotions in favor of a promotional period with 0% interest, much like the credit card companies offer. With that approach, consumers don't get hit with unexpected interest charges if they haven't paid off the balance by the time the promotional period ends. How can you tell a deferred-interest promotion from a 0% interest one? CFPB cautions consumers to look for the word “if.” When an offer says “No interest if paid in full in 12 months,” that's a deferred-interest pitch. Escaping interest charges is fully conditional upon paying off the balance in the allotted time. On the other hand, 0% interest offers say something like “0% intro APR on purchases for 12 months.” That means you are only on the hook for interest charges for the amount of the unpaid balance at the end of 12 months. It's a much better deal. The problem is that consumers often confuse the two types of offers because they sound similar. The CFPB says the number of purchases using deferred-interest promotions jumped 21% between 2010 and 2013. 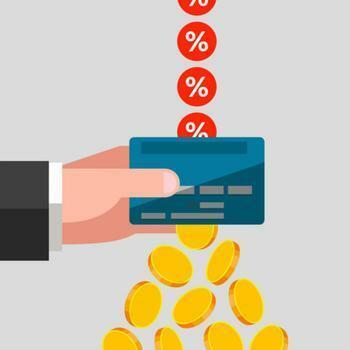 For consumers making a major purchase at a retailer whose store card only offers a deferred-interest promotion, consider this option: apply for a credit card, such as the Citi Diamond Preferred, that offers a lengthy introductory period at 0% interest, and purchase with that card instead. Should you store your credit card information online?